Four generations of Fox Music at the ribbon cutting of a new 22,000-square-foot location. 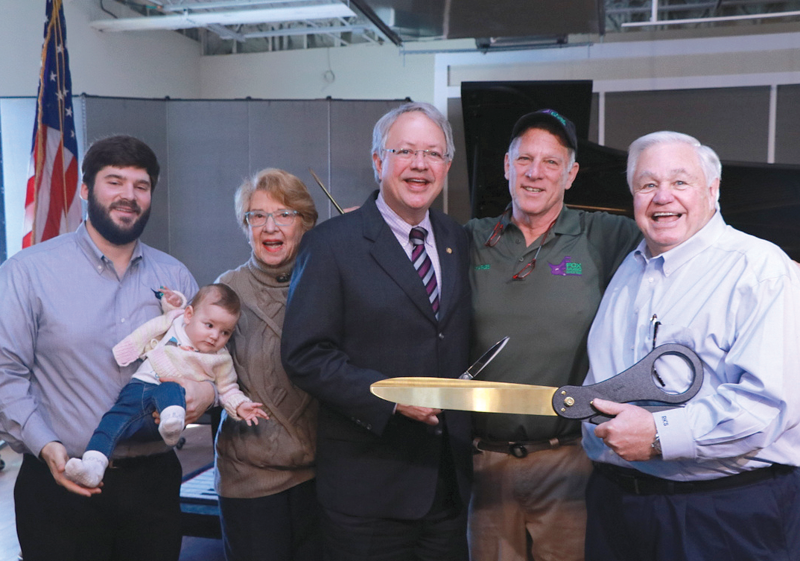 (l-r) Joseph Fox and his daughter Pearl, Joan Fox, North Charleston Mayor Keith Summey, and Charles Fox, Charleston Mayor John Tecklenburg. A month of festivities for South Carolina retailer. To celebrate the new store and 90 years of serving South Carolina, Fox Music staged a series of events during the month of March, including performances by jazz great Monty Alexander and Israeli musician David Yehuda as well as free lessons and clinics on piano maintenance. This focus on community outreach has been a constant at Fox Music for nine decades. In 2013, the retailer received the South Carolina Arts Commission Elizabeth O’Neill Verner Award, the highest honor the state awards for support of the arts. Fox Music was founded in 1928 when Otto and Sarah Fox opened a small store in downtown Charleston to sell and service instruments. At one point the company operated seven stores in South Carolina, but over the past decade consolidated operations into a single location. Two years ago, the search for a new and expanded location began. “We didn’t have the capacity we needed to show our selection,” Joseph Fox said.